Tarun Tyagi has written this book on Professional Data Recovery Programming titled, "Data Recovery With & Without Programming". All educational Software and source codes given on this website, have been developed by author Tarun Tyagi. 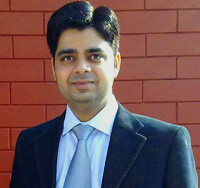 Tarun Tyagi is Data Recovery Professional and Data Recovery software developer. Quick Reference and Table of Contents Book "Data Recovery with & without Programming"
What can be recovered with the Backup of DBR?